If you feel the need for speed, there's no shortage of high-performance bolt-on accessories available to satisfy your every whim. High-performance aftermarket products range from simple and inexpensive to exotic and exorbitant. 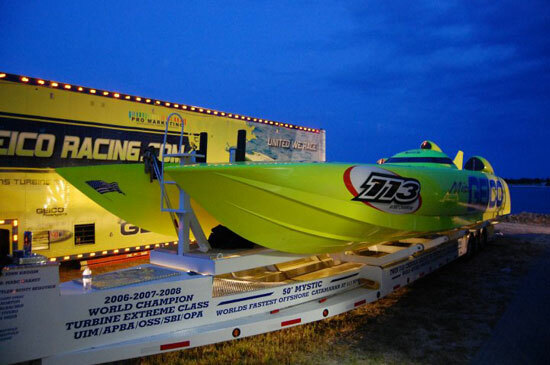 The following is a roundup of products and services available to help satisfy a throttle jockey's thirst for improved performance and more fun on the water. Still running a carbureted engine in your boat but wish you had the benefits of fuel injection instead? Why not convert it? HiREL Technologies makes a HyperFlow Multi-Port Fuel Injection System that you can bolt onto a carb-equipped GM big- or small-block V-8. Its patented PowerPoint Self-Tuning EFI Control automatically calibrates the fuel/air mixture through separate injectors that feed each of the eight intake ports. The benefits? Not only do you get instant starts, improved idle, smooth acceleration and cleaner emissions, but according to HiREL you can expect more horsepower and torque, faster acceleration and better fuel economy, too. Kits include everything you'll need for a complete installation. Prices start at $2,600 for a small-block and $2,700 for a big-block. Contact HiREL Technologies, Inc., 650 SW 16 Terrace, Pompano Beach FL 33069. MSD ignition systems are designed to meet the specific demands of the marine environment. 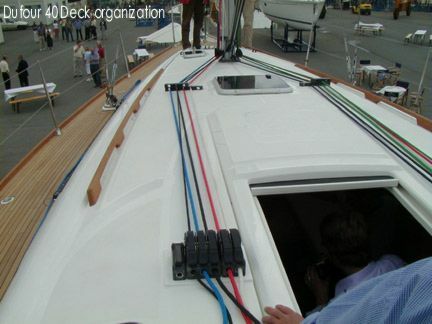 For one thing, the 6M-2 circuit box and all connectors are weathertight to protect against water, gasoline, oil and other chemicals associated with boats. Second, it protects against fouled plugs and misfiring caused from prolonged idling by firing the spark plug not just once but multiple times. This multiple-spark discharge also ensures easier starts. The 6M-2 ignition lists for $263. MSD also makes a durable Pro-Billet Marine Distributor ($291) with a billet aluminum housing containing an internal ball-bearing shaft for smooth, non-binding operation. A special marine safety feature with these distributors is the inclusion of two flame arrestor holes with brass screens to prevent the ignition of gas fumes that may build up in a boat's enclosed engine compartment. Contact MSD Ignition, 1490 Henry Brennan, El Paso TX 79936; (915) 857-5200. Realizing that the more your outdrive extends into the water the more drag it produces, IMCO has designed a modified Bravo drive that raises prop height 2 inches over the standard MerCruiser Bravo drive, allowing for semi-surfacing propellers in many applications. The Modified Bravo has an integrated nose cone for increased speed and fuel efficiency and a low water pick-up to ensure adequate cooling. You simply exchange your stock gearcase for the Modified Bravo which includes special internal conversion components that can be easily installed at your local MerCruiser service center. The price for a Modified Bravo with the gearcase swap is $2,400. Contact IMCO, 327 W Allen, San Dimas CA 91773; (800) 899-8058. With a centrifugal supercharger from ProCharger it's possible to bolt-on another 10 to 25 mph depending on your current boat, motor and propeller set up. ProCharger makes superchargers for both carbureted and fuel injected MerCruiser V-8s. The units run on pump gas and have an integrated intercooler for maximum power and engine protection. According to ProCharger you get a reliable 155-horsepower gain on a stock MerCruiser 502 MPI. 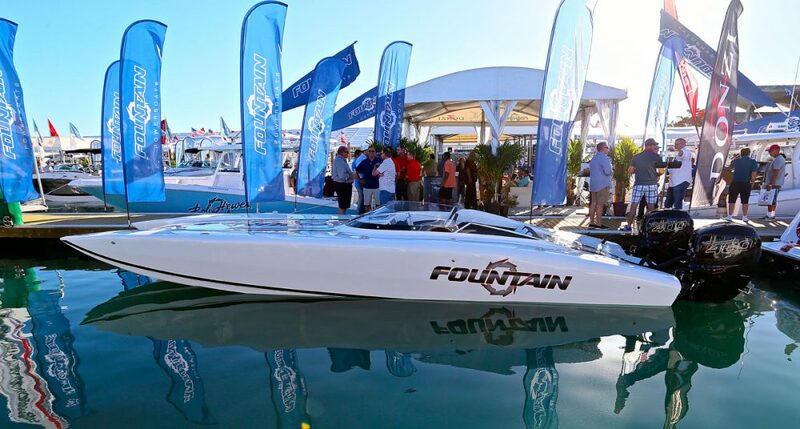 ProCharger superchargers are available as OEM equipment on Fountain, American Offshore, Eliminator and other name brand performance boats. List price for an intercooled, carbureted small-block begins around $4,800. Contact ProCharger Marine, 14014 W 107th St., Lenexa KS 66215; (913) 338-2886. You can fine tune the performance of your outboard-powered boat while underway with a hydraulic lift plate that permits you to raise the engine up to 6 inches above standard transom height. Properly adjusted, it can improve fuel efficiency and increase speed. It's also handy for shallow water applications. The lightweight lift plate is made of heat treated high tensile strength aluminum and comes with a lifetime warranty. The standard package retails for $695 and includes all the plumbing, fittings and electrical connections needed for installation. Contact Bob's Machine Shop, 1501 33rd St SE, Ruskin FL 33570. Telltales of most serious high-performance boats are controls. Livorsi Marine makes Gaffrig heavy-duty controls that operate the gears and throttle separately. Constructed of cast bronze and stainless steel, the controls not only look racy but are extremely durable. They come available with billet trim switches that mount in the handle so you don't have to reposition your hand to adjust the boat's attitude. The switch is waterproof with no external wires. Throttles include a cable connection kit, a neutral safety switch to prevent starting in gear, and can be adjusted for lever resistance. Controls with trim retail for about $490. Gaffrig controls may not enhance your boat's speed but they certainly will your image. Contact Livorsi Marine, 888 Belvidere Rd, Ste. 117, Grayslake IL 60030; (847) 548-5900. Having the right propeller is key to achieving optimum performance for your boat and the team at Hill Propellers are renowned as high-performance propeller experts. They also offer some of the best prices in the industry on new propellers. A Bravo prop lists for $550 but they sell it for $499. They also build custom propellers from scratch. They also offer a Pro-Tune service that includes blade truing, thinning, balancing, edge sharpening, reduced cupping and hand polishing. Additionally, they are respected for having one of the top prop repair facilities in the country. Contact Hill Propellers, 1350 E Wilshire Ave., Santa Ana CA 92705; (714) 953-5010. 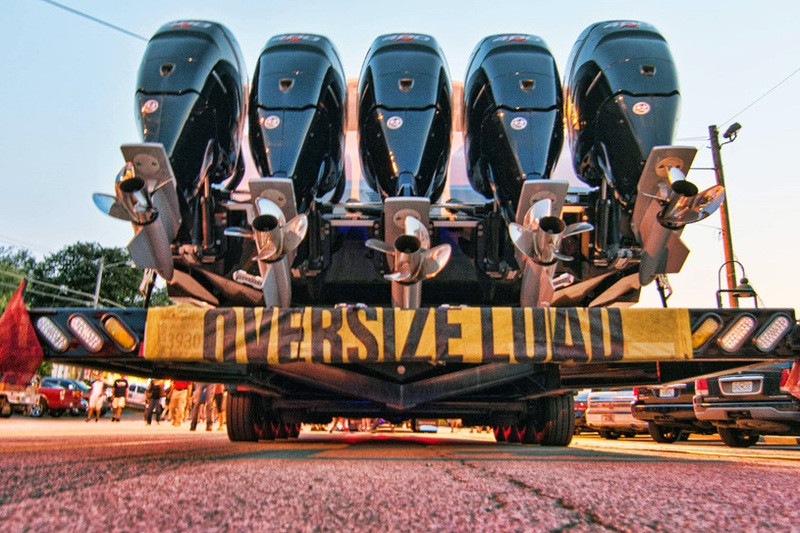 Brucato Machine and Tool's SVS II (stackable velocity system) is designed to unlock the true power of your Mercury outboard. The machined intake system has more air inlets than the stock cover plate it replaces. The velocity stacks are adjustable so you can tune them for peak torque at a specific rpm. According to Brucato the system greatly increases horsepower and torque, and improves throttle response for a smoother running engine. The SVS II retails for $1,795. Contact Brucato Machine and Tool, 9795 Mockingbird Trail, Jupiter FL 33478; (561) 744-5629. Reducing the heat of your outdrive will prolong its life. Nisonger Marine's Intercooler will lower MerCruiser Bravo outdrive lube temperatures 25 to 50 degrees according to company tests. Unlike traditional "shower" coolers, the Intercooler has an internal water jacket housing that draws in a continuous flow of cool water and dispenses warm water through a side outlet. The unit, which sells for $349, is made of "specially-treated corrosion-proof aluminum" that's powder-coated to match the color of the stock Bravo drive. The simple four-bolt installation takes approximately 30 minutes. Contact Nisonger Marine, 570 Mamaroneck Ave., Mamaroneck NY 10543; (914) 381-1952. With the aid of Bobby Moore's Custom Marine you can join the step-bottom hull revolution without having to sell your existing V-bottom boat. Moore has devised a proven method of attaching a stepped-hull to an older performance boat to achieve faster speeds. 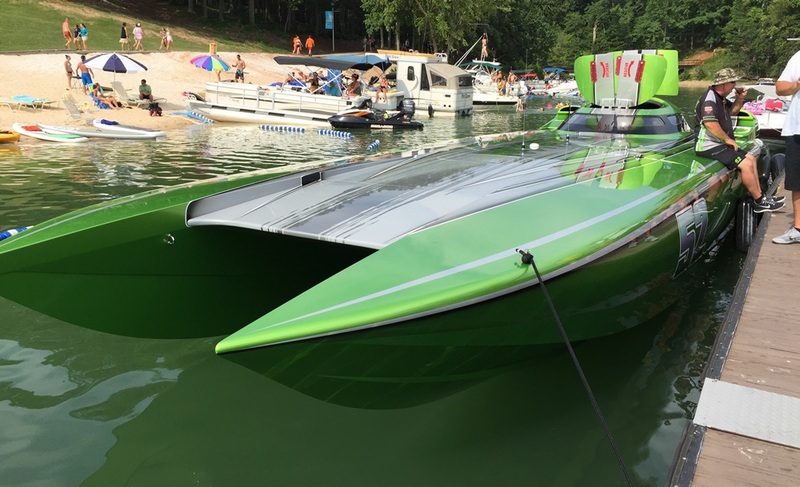 Results generally reflect a 6 to 8 mph speed increase, but Moore has seen as much as a 24 mph improvement on an older 41-foot Aronow. It's a tedious process of removing the engines and turning the boat upside down and then applying a custom-fit balsa step to the hull using fiberglass and epoxy resin with a vacuum bag process. 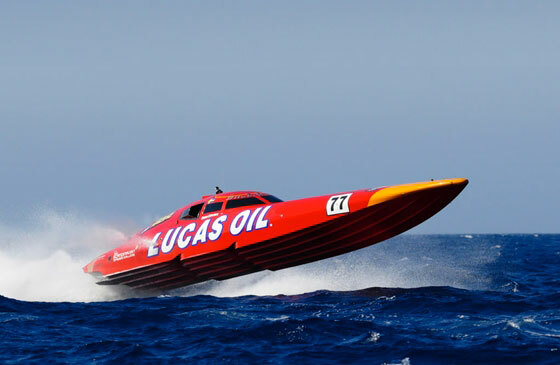 The best results come from boats 38 feet and up that already run 65 mph or better. For a price quote you'll need to call and describe your present boat's size and design. 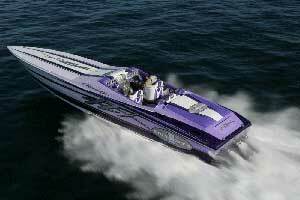 Contact Bobby Moore's Custom Marine, 3016-3030 NE 188th St., N Miami FL 33180; (305) 931-3157. High performance enthusiasts understand well that reducing weight is one way to gain a performance edge, which is why many of them use Brodix aluminum heads. Made of a special blend of alloy aluminum, a Brodix head represents an 85-pound savings compared with a stock cast iron big block head. However, Brodix heads are equally well known for their extremely strong, high quality castings which provide more material where needed, like in the rocker boss area. They also perform better, thanks to an intake runner design that delivers more air flow than stock models. A typical Brodix head for a big block will run you $2,079. Contact Brodix, 301 Maple St., Mena AR 71953; (501) 394-1075.